J.M. Barrie, the Scottish playwright who created the beloved “Peter Pan,” also apparently had a fondness for spoofs, as made clear in a just-discovered play of Barrie’s called “The Reconstruction of the Crime.” The play, a bedroom farce that asks audiences to find the culprit of an attempted murder, pokes fun at the crime novel genre, from “tragic music” in its opening bars to its closing big reveal. Barrie is believed to have co-written the play with humorist E.V. Lucas around 1912, the year after he wrote the novel “Peter Pan,” but it was never published or performed. The long-lost play will be published for the first time this week in The Strand Magazine, a quarterly mystery magazine based outside of Detroit. The magazine has previously unearthed and published lost works by John Steinbeck, F. Scott Fitzgerald, Tennessee Williams, Joseph Heller and H.G. Wells. Andrew Gulli, the magazine’s managing editor, said one of his researchers discovered the play at the Harry Ransom Center library at the University of Texas, where some of Barrie’s papers are held. Gulli, who has edited mystery writing for two decades, said it was immediately clear to him that the play was a “send-up of the whole mystery genre” — especially the works of Arthur Conan Doyle, the creator of Sherlock Holmes. Conan Doyle and Barrie were close friends, sometimes-collaborators and members of a cricket team that also included contemporary writers Rudyard Kipling, H. G. Wells, P. G. Wodehouse and A. A. Milne. 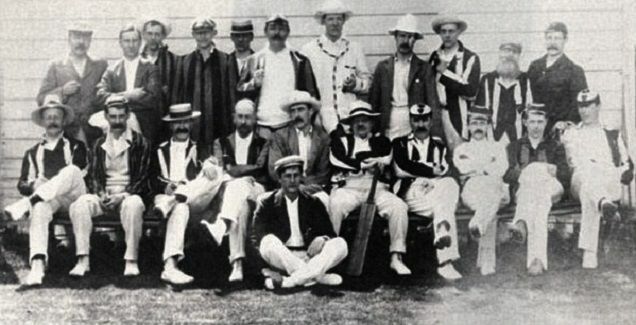 1903: An “Authors and Artists” cricket team, with Arthur Conan Doyle in the back center, and J.M. Barrie third from right in the front row. 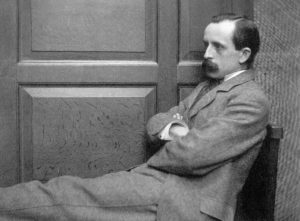 After one such collaboration, a failed attempt by the two men to co-write an opera, Barrie wrote a parody of their experience called “The Adventures of the Two Collaborators” and gave it as a present to Conan Doyle. But Lellenberg thought it unlikely Conan Doyle had helped write “The Reconstruction of the Crime” because the author had stopped writing fiction in those years. Anne Hiebert Alton, a professor of English at Central Michigan University who has studied Barrie, said the play also sounded very much like Barrie’s voice. For Barrie scholars, Alton said, the new play is an exciting find — one that could be followed by others.